The new JHelioviewer paper is out (Astronomy & Astrophysics, 2017). If you use JHelioviewer for your research, it is greatly appreciated that you cite this paper when publishing your results. 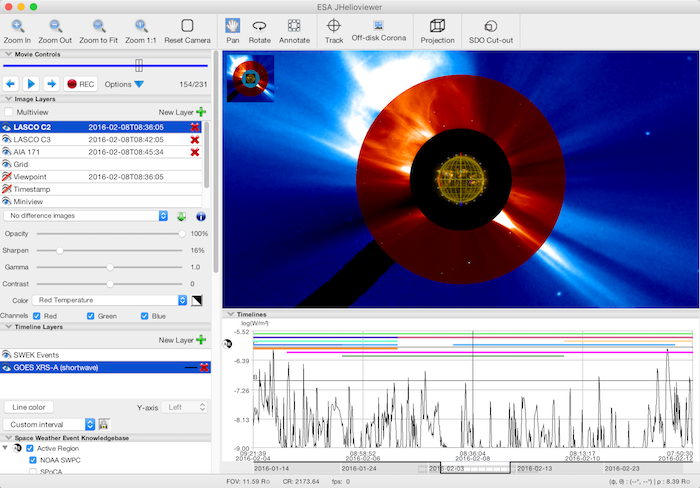 The JHelioviewer software is described in detail in our May 2017 A&A paper. 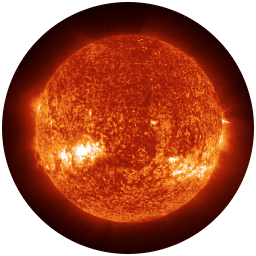 JHelioviewer is visualization software for solar image data based on the JPEG 2000 compression standard. JPEG 2000 offers many useful new features and has the potential to revolutionize the way high-resolution image data are disseminated and analyzed. The JPEG 2000 Interactive Protocol (JPIP) enables serving data in a highly compressed, quality-progressive, region-of-interest-based stream. These features minimize the data volume transmitted while maximizing its usability. 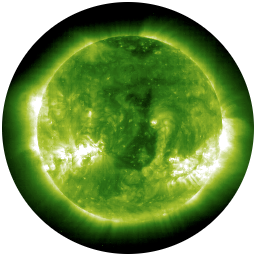 This is especially relevant for solar physics since NASA's Solar Dynamics Observatory has started providing more than a terabyte of image data per day. 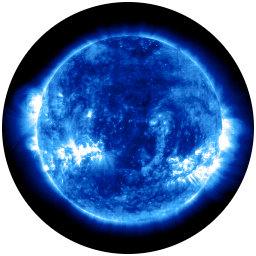 The first JHelioviewer paper (published in Computing in Science & Engineering 2009).